The Spring Bank holiday weekend saw another annual IWA trailboat festival take place and what a Grand Western affair it was. 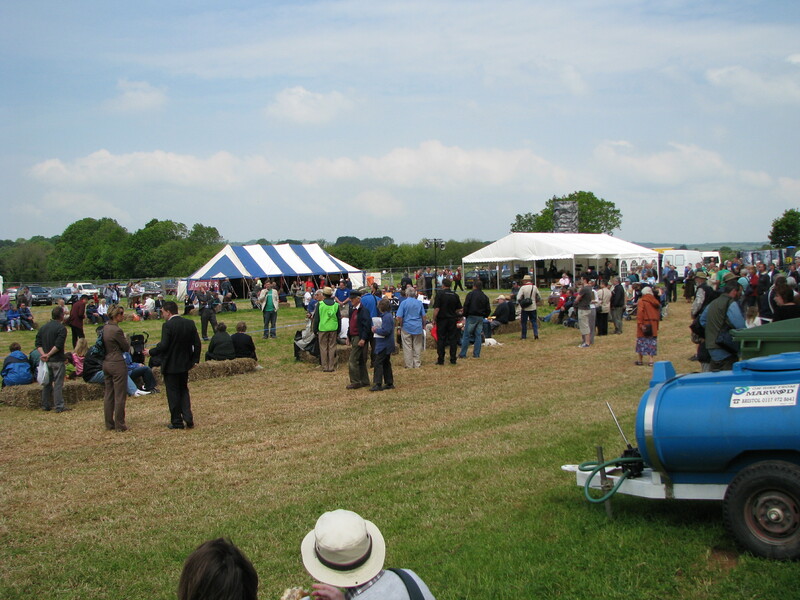 The event took place on the Mid Devon showground near Tiverton, which has the Grand Western canal as one of its boundaries. The event was organised by a committee, which boasted representatives from Devon County, Mid Devon District Council, the Canal Rangers, local businesses, IWA and WBOC. And didn’t they all do very well, with the aid of local volunteers, Devon County staff and the Waterways Recovery Group who worked to set things up, run the event and dismantle them again after the event. Our own members Jane & Adam Pilgrim, who have campaigned for many years for the restoration of the Grand Western Canal, were on the committee and spent many an hour over many months, making sure that visiting boaters were welcomed and had their needs catered for. The arriving boaters made good use of the recently opened slipway, which was constructed by Waterways Recovery Group volunteers on a two week camp. 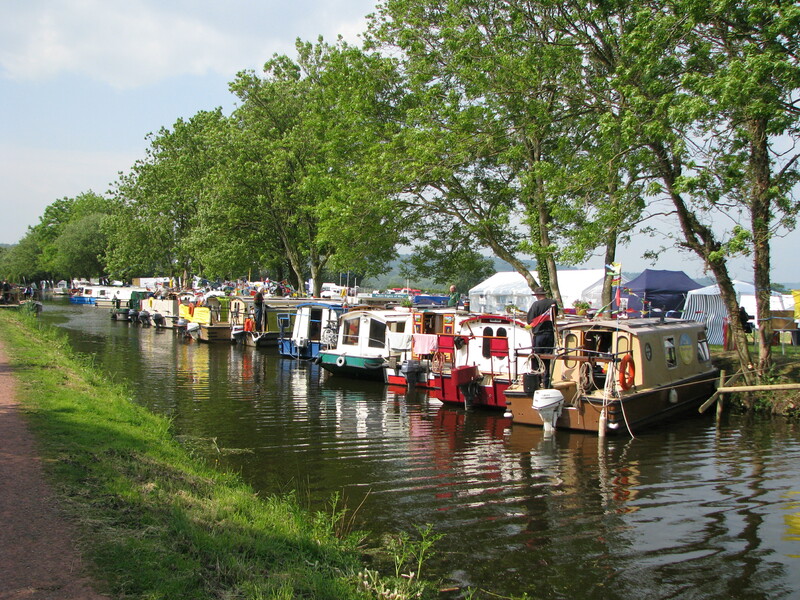 Secure parking for trailers and cars was organised at the local Minnows caravan park, which is adjacent to the canal, which also supplied water and loo emptying facilities. Volunteers also made sure that arriving boaters did not have problems in the narrow blind corner lane that leads to the slipway. The showground was well laid out to ensure that the boaters were close to the event and the visitors and stall holders were close to the boats. Phil Brind, master of ceremonies in the display area and on the PA throughout the event, did a great job extolling the virtues of the Festival, the canal which is also a linear Country Park, the boats and the fact that people should talk to boaters and read their “Story Boards” and informing visitors of all that was happening. Included on the site was a central display area that hosted a variety of events: Majorettes; Tiverton Town Band; Dog Agility Racing; Daredevil mountain bike tricks. They had not one but two sound stages to suit people with different musical tastes from Folk to Barbershop, Samba and Jazz. Then there were the many food and craft stalls, the Otter Bar and other activities to amuse the children. There was a floating bridge to get people to and from the towpath so visitors could get to enjoy either a powered or horse drawn boat trip or look at the boat handling competition. This had an amusing Pirate based theatrical twist, which was thought up by our own WBOC member John Burbery with cast members Carol Burbery, Peter Huish, Sandra Parker and Keith Duffield in attendance. Thirty eight boats from far and near attended the event. A very high number despite the soaring cost of fuel to get them there. 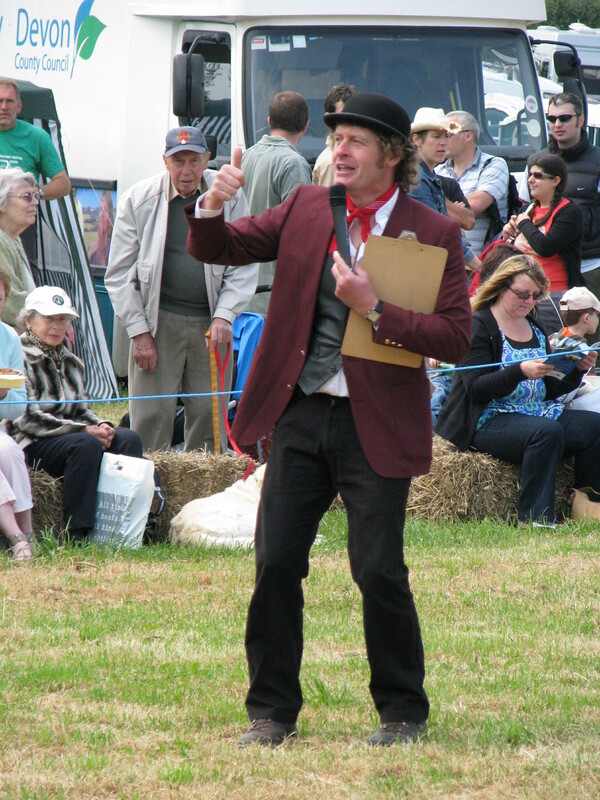 Early indications from the organisers are that over 5000 people visited the showground over the weekend, and this despite some overnight rain on the Saturday night and it being a bit damp and misty on the Sunday morning but things were bright and busy on Saturday and on Sunday afternoon. The event for boaters didn’t just take place on the showground however. Saturday evening saw a trip up the canal to the village of Halburton for a visit to a village B-B-Q. On Sunday morning, a trip was organised by car to the dry section of the canal to visit the Nynehead lift site. On Sunday evening, after the event at the showground had officially closed, boats navigated past Halburton and on towards the Somerset-Devon border, to the village of Sampford Peverell, where a Hog Roast and Festival of Lights was held. This culminated in an Illuminated Parade of boats at around 9.45pm, which was watched by what was thought to be a record breaking number of people ever to watch an illuminated procession at an IWA TrailBoat festival. The public were three deep for a significant length of the towpath through the village, with house owners on the offside having parties in their gardens. The boaters received a very warm welcome for their efforts, with friendly comments and applause from the on lookers. The Bank Holiday Monday unfortunately brought heavy rain with strong winds, as the boaters battled up the canal to Burlescombe, where the award of trophies was made on the wharf side to a very wet group of boaters by John Fletcher, IWA Chairman. They were then invited into a local house, where bowls of warming soup were waiting. A money raising event for the village hall. The whole festival was well managed and early indications are that it surpassed the objectives the organising committee had set themselves. Well done to all those who put on such a good event and made the boaters so welcome. Many boaters were planning to stay on the canal for a few days to visit Tiverton and the local area. More pictures are available in the Gallery to the right of this article. Next story Did you know you can use RSS feeds on this site?